Understanding demand is critical to passing the JAMB economics exam. It is one of the basic concepts that underlies most of the questions you will see. So lets define demand and related terms. Demand - is the amount of some good or service consumers are WILLING and ABLE to purchase at each price. Demand is also based on ability to pay. If you cannot pay for it, you have no effective demand. Price - What a buyer pays for a unit of the specific good or service is called price. 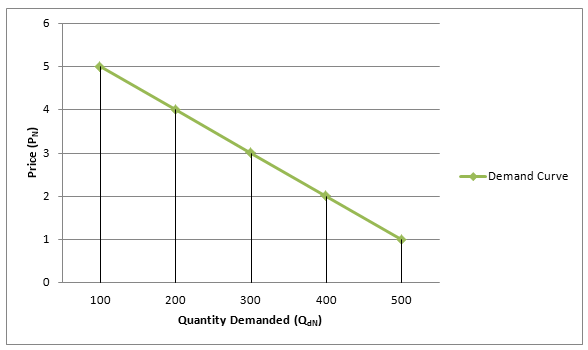 Quantity Demanded - The total number of units purchased at that price is called the quantity demanded. Elasticity of DemandThe price elasticity of demand is the percentage change in the quantity demanded of a good or service divided by the percentage change in the price. A) In December the price of frozen chicken in Kaduna shot up to N2,000. 18,000 chickens were purchased in December and an additional 12,000 people wanted to buy chicken but decided to buy goat instead. What was the quantity demanded for chicken in Kaduna in December? B) According to the law of demand, if the price of frozen chicken in Kaduna suddenly fell to N1,500 which of the following is most likely to happen to the quantity demanded? The answer to the question is that the demand will go up. Thanks to all that participated.